Every pub or bar in the country will have major problems with ensuring that the carpets or flooring is clean and kept smelling great. Trust us we know that beer and carpets really doesn’t mix. The problem is simple with customers that are in a state of disarray and alcohol consumption a plenty we know all too well that your flooring will need replacing more often than not. So how can we help? Well, we have a dedicated team of specialists that are here to help you pick the right type of flooring for your needs. You will need flooring that is durable, tough, resistant to stains and more importantly, aesthetically pleasing on the eye. No matter how small or large your pub/bar is getting the right flooring will ensure you save money in the long run and also save you a huge amount of time. 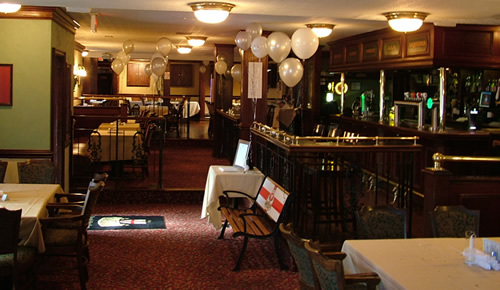 Our team of carpet and flooring specialists have been in business for many years and have supplied many pubs and bars on a regular basis so we know what it requires to ensure you get what you need and in the tight timescales you may have. No matter what your needs we have a vast range of great quality options available to you and we don’t stock anything inferior meaning you can expect great life expectancy from your new flooring products. Whether you are just looking for advice or would like to book a completely free measure and quotation service you should call one of our friendly staff NOW on 01276 37722 to find out more.